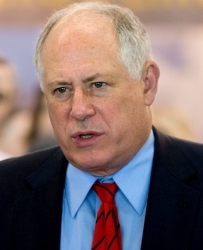 Governor Pat Quinn has signed legislation making it easier for foreign-born design professionals to apply for professional licenses. This legislation is part of Governor Quinn’s agenda to make Illinois the most welcoming state in the nation, and ensure all people have the opportunity to follow their dreams and reach their full potential. House Bill 4535, sponsored by State Representative Lou Lang (D-Skokie) and State Senator Daniel Biss (D-Evanston), removes the English proficiency exam requirement for architects and engineers with an advanced degree from an accredited U.S. graduate program. Previously all applicants for whom English is a second language were required to take the Test of English as a Foreign Language (TOEFL) in order to be licensed. This requirement was redundant for those individuals who passed the TOEFL in order to gain admission to a U.S. graduate program and successfully completed a rigorous curriculum at an American college or university. The law will remove the expensive and redundant testing requirement, making it easier for qualified architects and engineers to begin practicing their professions and attracting highly qualified professionals to Illinois.